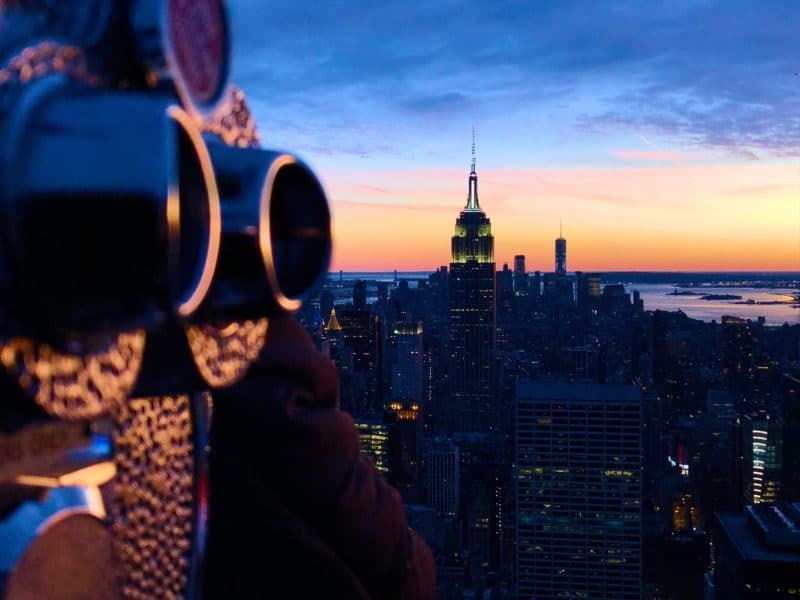 Heading to New York as a tourist you might think that the first thing you need to plan into your trip is to head up the Empire State Building. Growing up it’s definitely what I thought too. But actually you can do better than that. 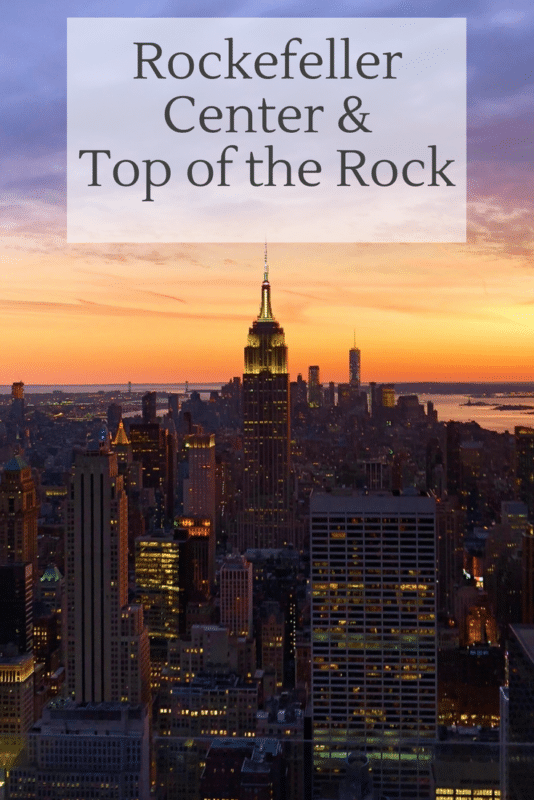 Your first tourist hotspot has to be a visit to the Rockefeller Center and specifically, Top of the Rock. 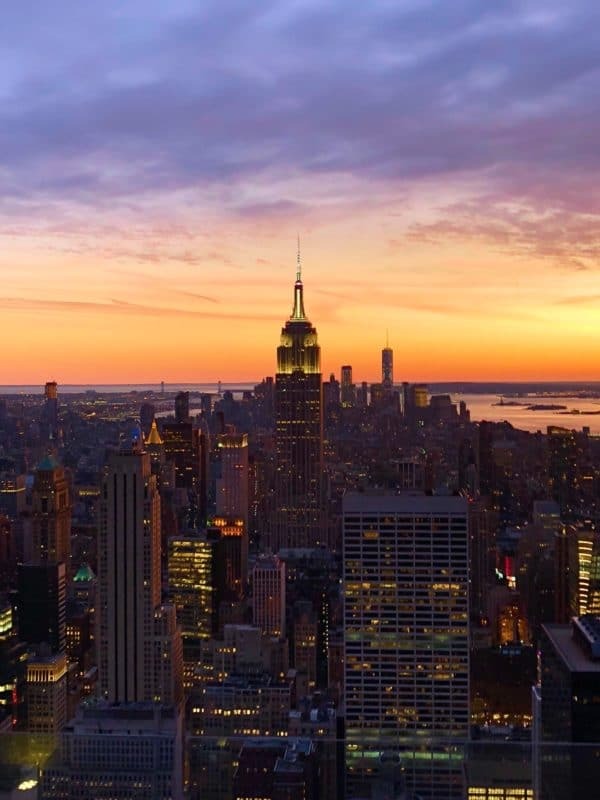 The full Rockefeller complex, named after the family that commissioned it spans across 48th – 51st Streets in midtown Manhattan. The extent of it goes way beyond the small glimpse you might actually see, it’s an entire underground network of shopping, entertainment and food places. You could easily spend over a day and then some exploring it all if you have the time. 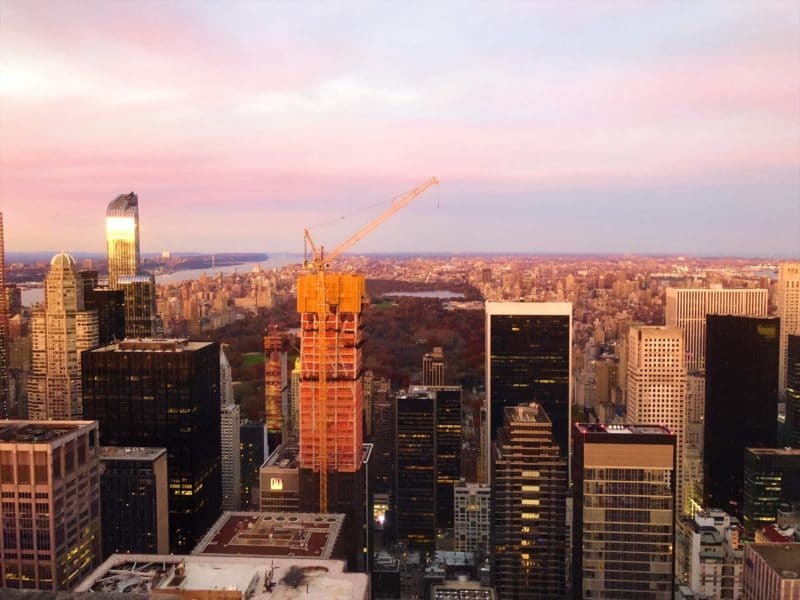 Sitting right between 5th and 6th Avenue, and being one of the busiest and tallest places in the city it’s not hard to find. But my favourite time to see the gardens has to be at Christmas. 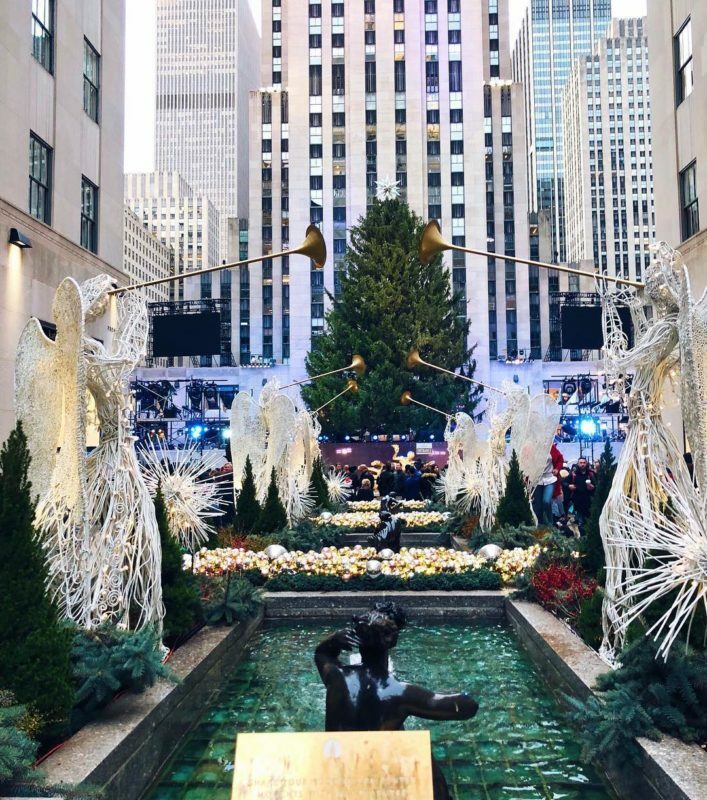 White trumpet playing angels frame the gardens pointing up at the Rockefeller Christmas tree. You’ll have to queue up among the many people all wanting to get a clear photo, but at least it gives you time to appreciate the detail that goes into them. 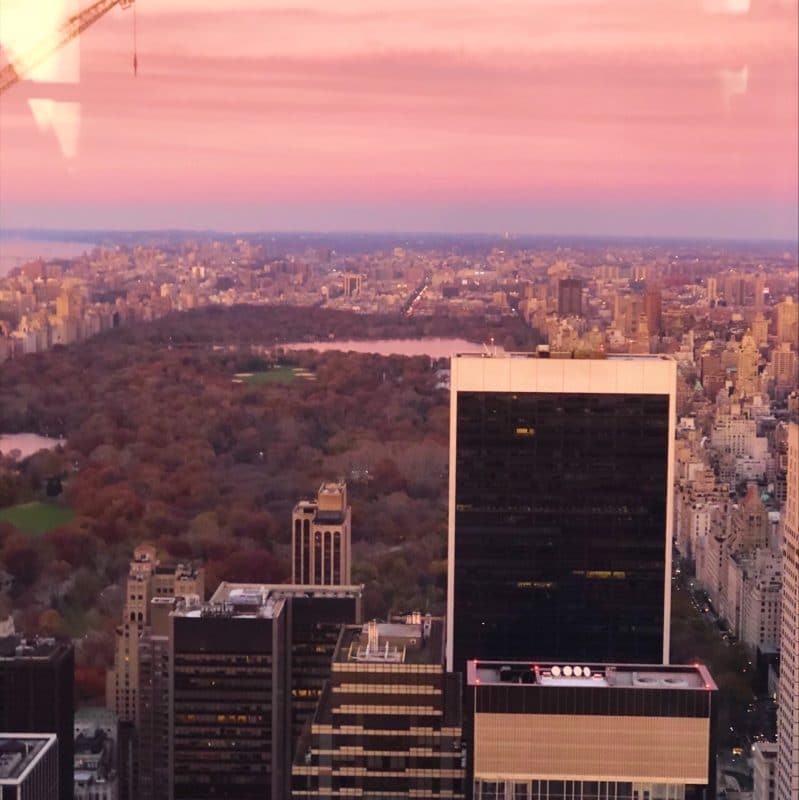 Don’t just focus your attention towards the tree either, looking in the opposite direction down the gardens will find you staring at the incredible flagship Saks 5th Avenue store. A sight in itself especially at Christmas. 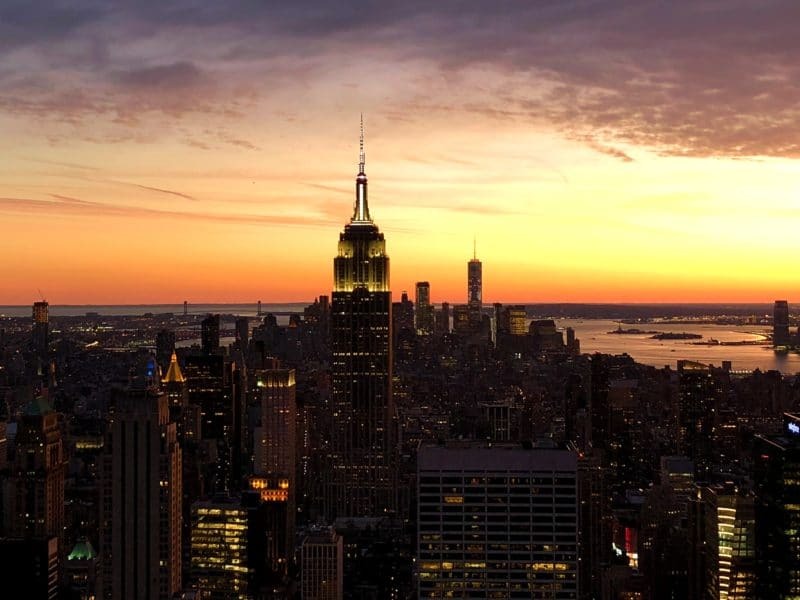 This is an absolute must for your first visit to the big apple, but to be honest it’s worth going back to again and again at different times of day – just make sure it’s clear weather! 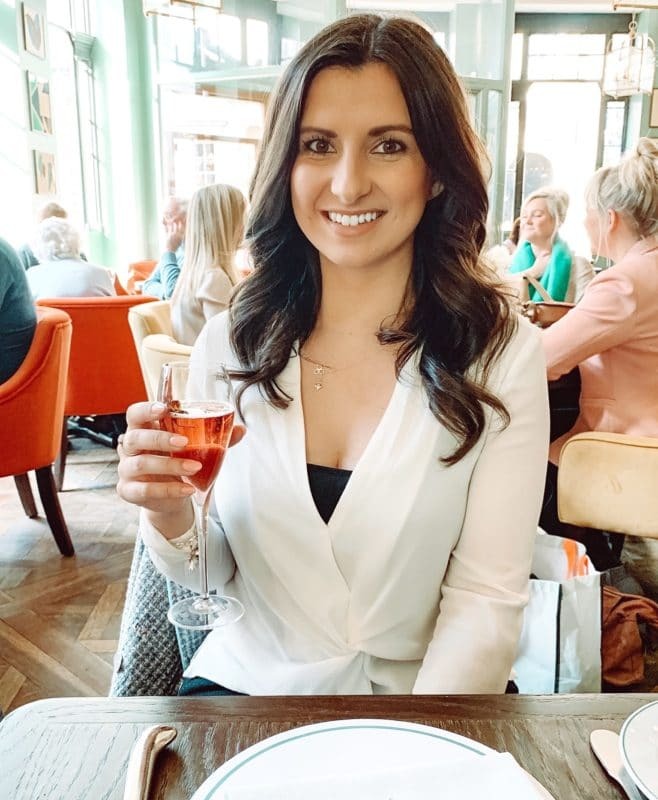 You can reserve a time slot online, or on the day itself, but it’s worth thinking ahead and booking as the popular times like sunset fill up fast. Prices are $34 adults, $28 for kids, and opening times are 8am – midnight with the last lift time at 11:15pm. 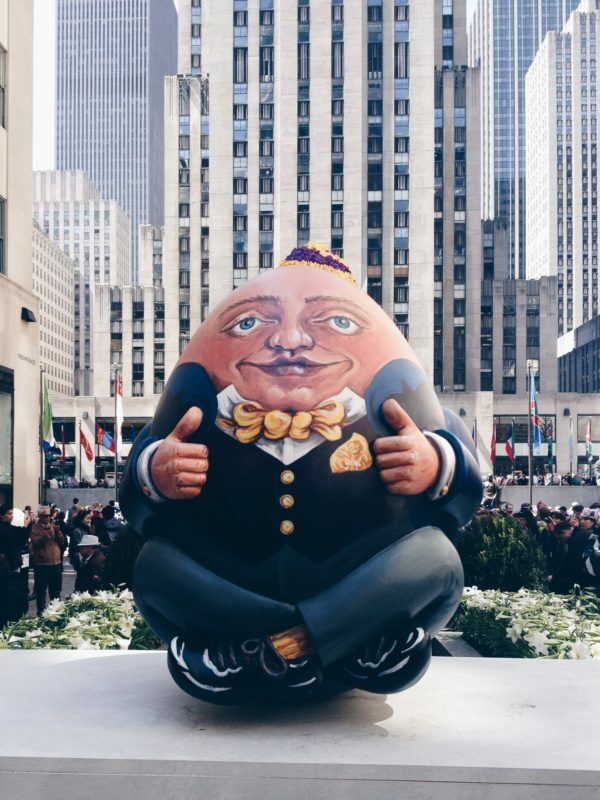 The entrance is on 50th Street between 5th and 6th Avenue, and on entering you’re taken up the stairs to go through security. It’s airport style security, but it moves a lot faster, and you then go through to get your photo taken in the style of the iconic construction workers sat on the beam. The next waiting area is in a theatre style room where a short video plays giving you some history and information on the Rockefeller family and history. You’re then ushered through to the lifts. Shooting up 70 floors you’re going to come out of that lift to your first glimpse of just high up you are, and you’ll be able to feel it too. Ears popping, stomach flipping and if you’re not good with heights then honestly don’t look down just look out. I’m usually fine but needed some water from the shop up there to steady myself a bit. 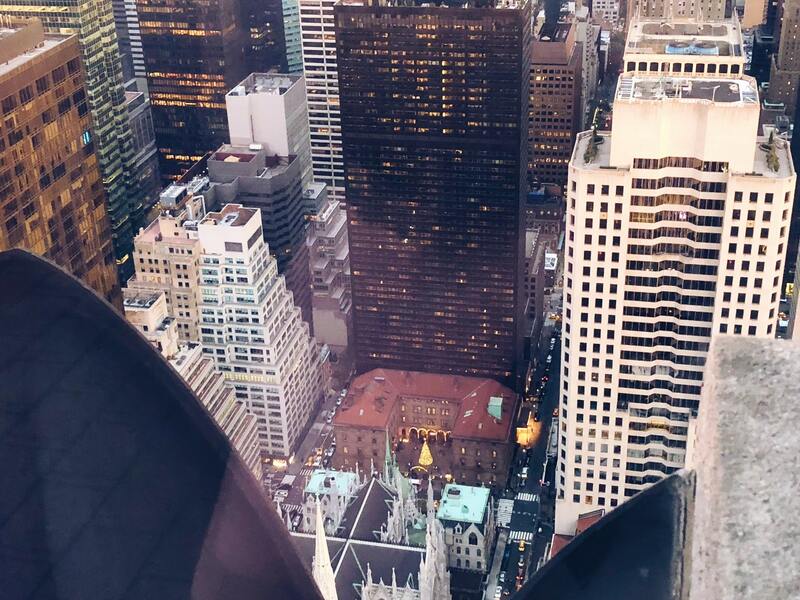 You can walk the full way around inside at all the different angles of the city, but the best views are without a doubt from outside in the crisp New York air. There are two levels outside, the first one is behind a glass panel, and the very top is open air. From one side you look right out over Central Park, and can appreciate it’s full scale. You can see the Hudson flowing past down the side of Manhattan too. 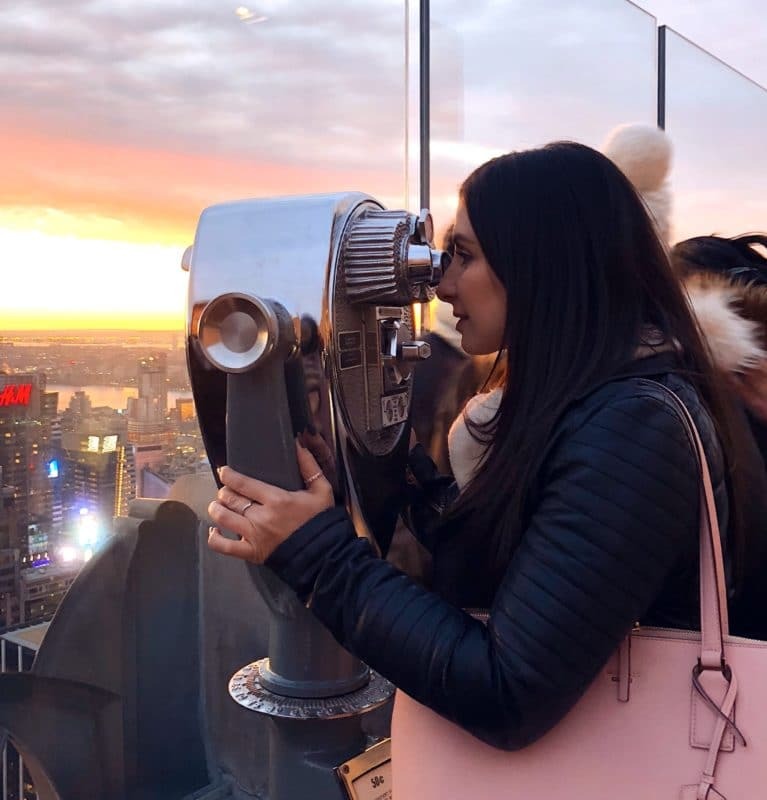 The most incredible view though is the opposite side to Central Park, where you’ll find yourself directly opposite the Empire State Building right in front of you. In the distance you can see the Freedom Tower standing tall in lower Manhattan, and if your eyes are good to it’s right you can just about make out the Statue of Liberty too. Without meaning to or really thinking about it we had booked the 4:30 time slot, but whatever time you go up you can then stay as long as you wish. As we were there in November, 4:30 meant that we caught the sunset. It was honestly one of the most breathtaking sights I’ve ever seen. 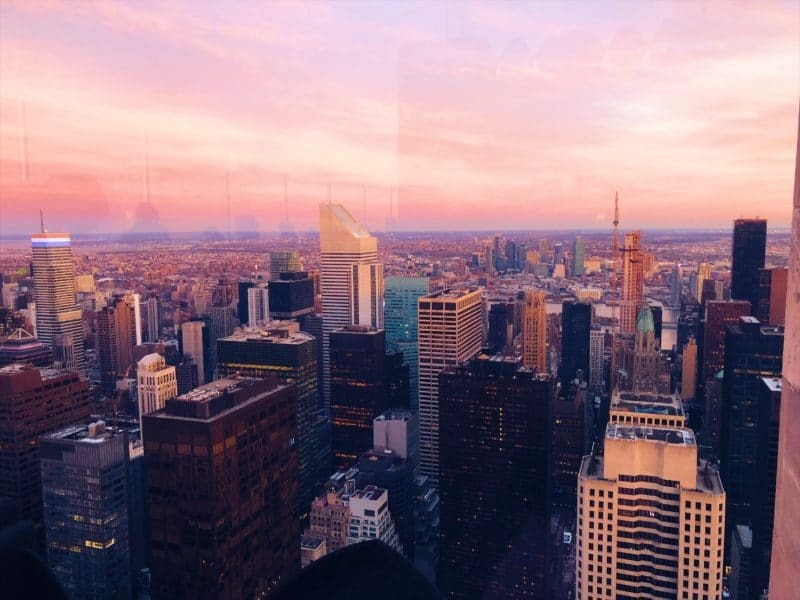 The sky went from pink to rainbow to blazing orange behind the NYC skyline sprawled out before us. Everyone was so quiet as well, just in awe of the view really. 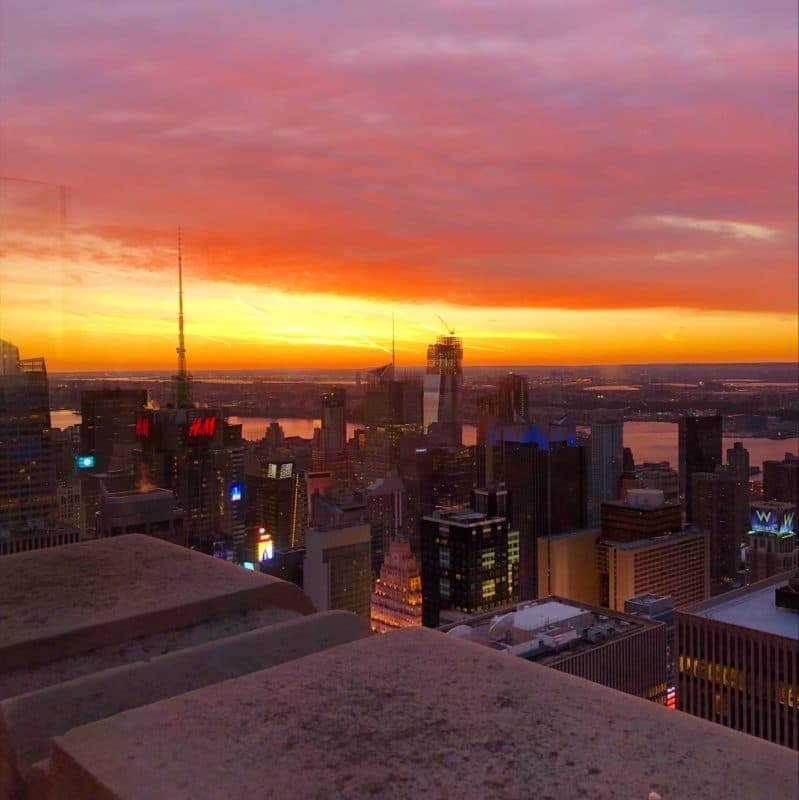 If you do one thing on your visit to New York whatever time of year, find out the sunset time and head straight to Top of the Rock. 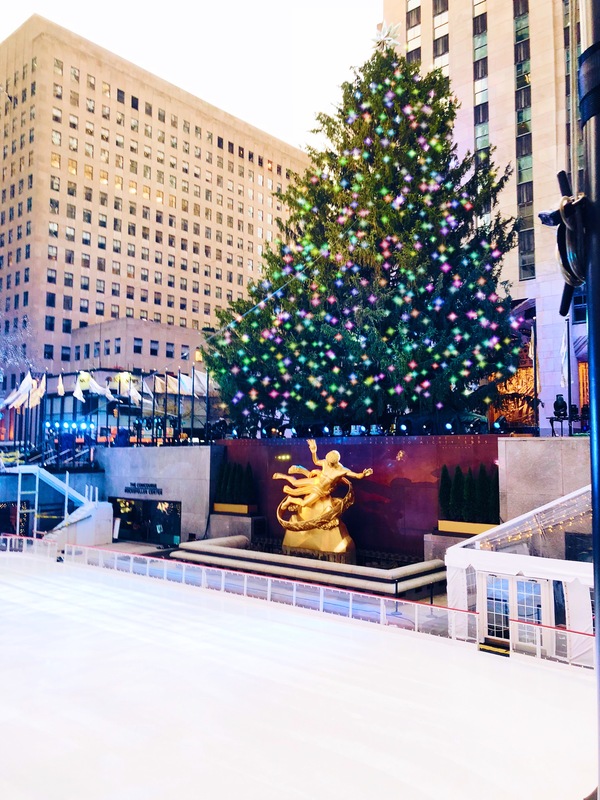 The Christmas season at Rockefeller is obviously completely magical, thanks to the world famous tree and ice rink. The area is pretty small and full of people, but you don’t really mind with all the twinkly lights and festive atmosphere out in the cold. 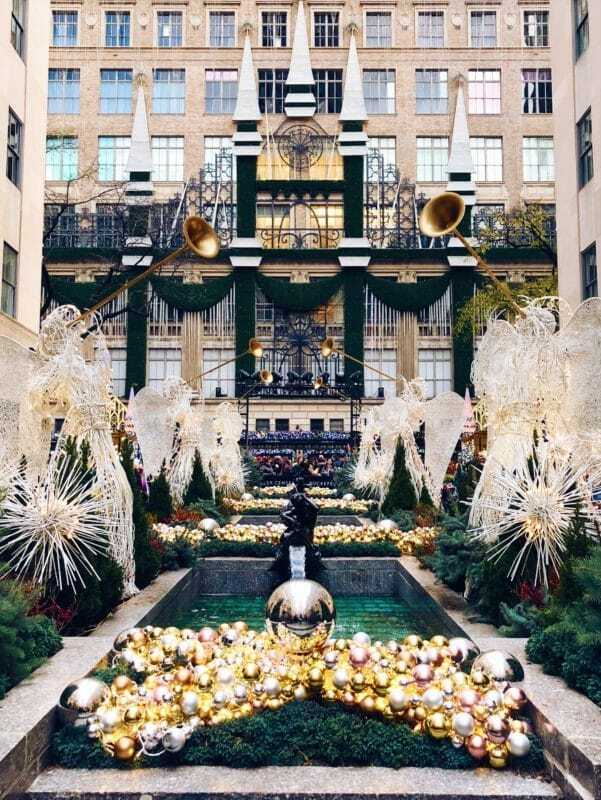 As well as the tree and the gardens with the angels, and skating on the ice rink, you can also see Saks 5th Avenue Christmas window display. This year it was a celebration of 80 years of Snow White. 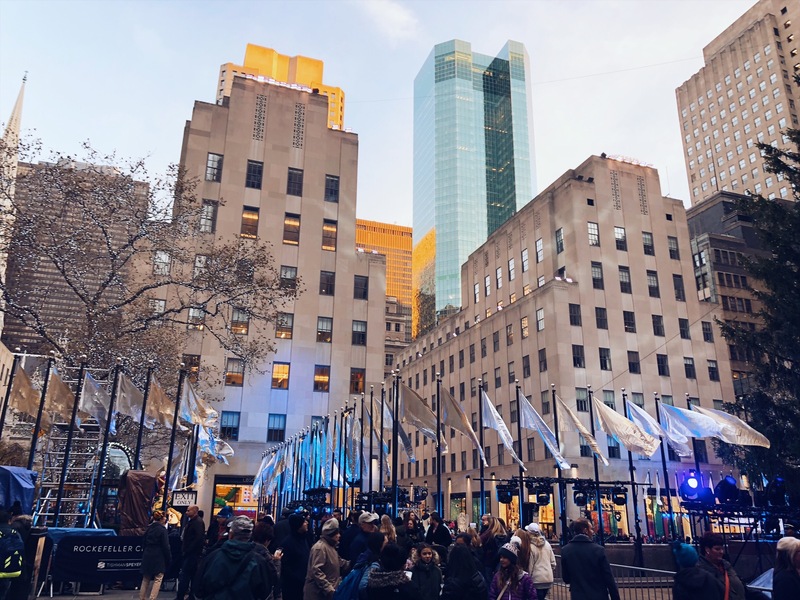 Or get a tour of the NBC Television Studios, home to Jimmy Fallons The Tonight Show, and Saturday Night Live. 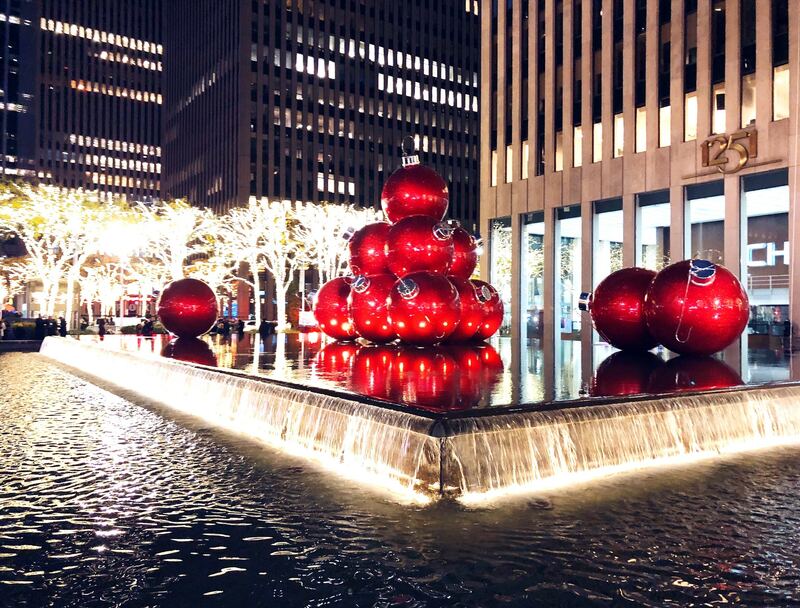 Lastly when you’ve explored all Rockefeller has to offer at Christmas, head out to 6th Avenue to see the giant red Christmas baubles too! 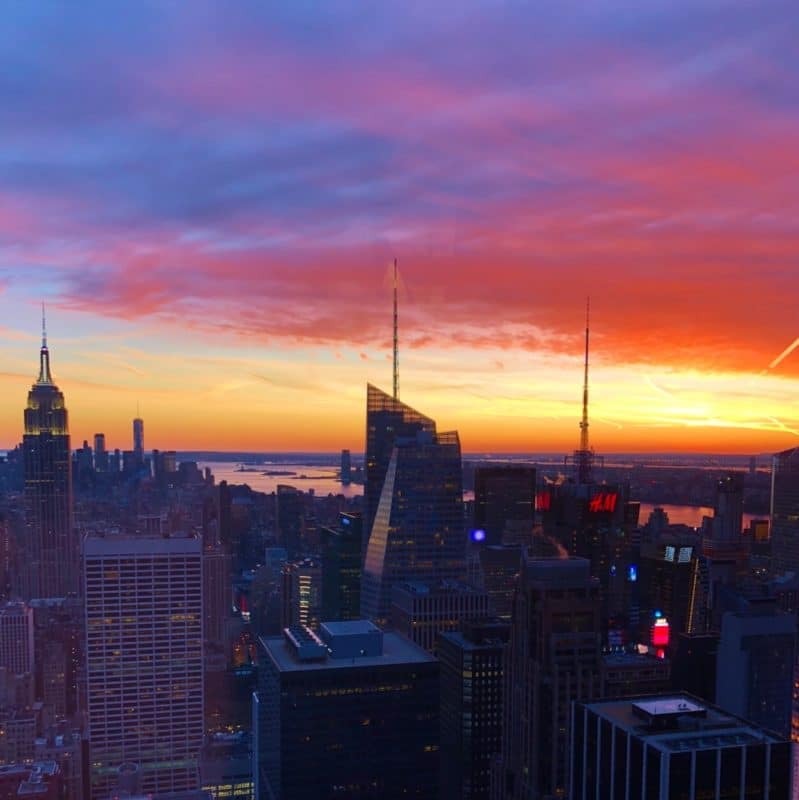 Your sunset photos are stunning Steph – did you take them on your phone or camera? What a fab experience.